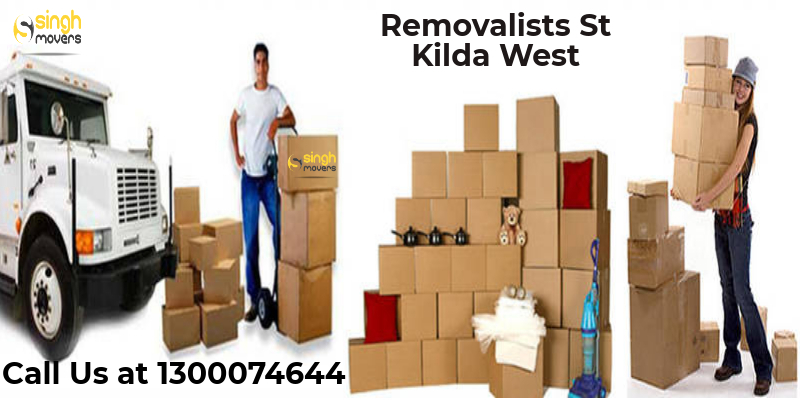 Removalist St Kilda West have professional as well as expert staff at movers to make your plan easier of shifting. Are you thinking to shift to the new home that you recently bought? We know how difficult it is to purchase a house nowadays and this happy moment is next to spoiled with the thought of inconvenience caused by the shifting procedure. Are you able to do all this shifting work on your own, without the help of anyone? So, you must be in search of a furniture removalist St Kilda West. When you shift to a new place, you need all your furniture and stuffs like furniture, crockeries, piano, pool table, etc to be moved carefully to the new place. So, we are the movers and packers Melbourne who will render you with quality services related to the moving and shifting of all your goods and heavy materials. Also, if you want your office or organization to be located to some other place, then we are the leading office movers Melbourne to provide you with efficient and quick services. When you hire Singh movers and packers for your relocation, you will never have to bother about lifting even a pin by yourself. We and our friendly moving men will do all the lifting and loading work for you. We are the most relevant interstate removalist Melbourne who is well known in the entire moving market and have gained the complete faith of our customers by providing them with the best customer experience and support so that we can give them top-notch services across the state. We, the best removalist Melbourne offer our services to our customers at the best possible price and thus render our customers with the affordable moving services as a budget movers Melbourne. If you take professional assistance and help for the furniture removal of your house, then you will definitely not face any loss or damage caused to your goods. Moreover, Singh movers and packers have professionally trained and friendly moving men who are availed with professionally designed pieces of equipment and tools that are only used to make sure the safety of the goods of our customers. So, your furniture and the stuff to be transported will be delivered with the utmost safety. You may have many delicate items with you that need to be delivered by being in safe hands. This totally safe move of your goods can only be given by Singh movers and packers. We are best to provide you with moving services as we plan first and then do proper and safe packing of the goods and then, at last, deliver them safely to the new location. This removal company Melbourne is a well-organized company for the shifting of your home, organization, company or office. We understand the inconvenience caused to your family while relocating your house or even when you are shifting your office somewhere else then also, your company faces inconvenience during the shifting. So, we are in the services for you to provide convenience and ease during the shifting process. So, you will be needed for furniture removalist St Kilda West. Then, why do not you hire Singh movers and packers to avail these services and to make your work easy and more convenient? We work day and night to provide our customers with the quick and fastest delivery of their goods because we understand the requirements of our customers. Singh movers and packers know how to manage the fragile and breakable items and we also do the transportation of you bulky and heavy goods with complete care. We charge from you only the reasonable prices and provide you with the kind of services which worth much more than our prices. We have the best prices to guarantee that no other company can give you. Our workforce has professional workers who all know about how’s and what’s of moving and packing. Our professional team will never make you worried about any of the work and will deliver your goods safely and also on-time. Our company is the best which also provide you with the storage-in-transit facilities, that too with complete security along with 24*7 CCTV surveillance. For any chance of accidents or any carelessness caused by our team and thus causing any harm, we have insurance of about $10,000. So you can be relieved for any kind of unfortunate harm to your goods. Singh movers and packers have an experience of more than 10 years due to which we are now able to perform even the most complex shipments with ease and convenience. How Singh Movers and Packers are different from others? Our team of friendly moving men use the most useful and right tools for the moving and shifting of your goods. These tools include trolleys, ramps, dollies, shrink wraps etc. they are used to ensure the safety perspective of the goods to be transported. Our workforce, with the applications of physics, knows what type of furniture should be packed under what kind of packing and safety measures. We use cardboard runners, potential scuffs, pad-wraps or stretch wraps for further safety and so provide complete safety to your furniture. We use different sized cartons and pad wraps for different sized items to be transported and further, these cartons are filled with other protective material so as not to cause any breakage or harm to your goods. We do not charge extra for any of the facilities provided by us. We only charge for what is already mentioned in the quotation and also, we do not charge for fuel and depot to depot movement. S, here with all this, you can be sure of the safety, cost, packing of your goods. Our team will never let you worry for any of the problems that occur during shifting. Do you still need to think? If you want to hire a furniture removalist St Kilda west, then just grab your phone and contact Singh movers and packers to get a quotation and your work will be done with safety by our experienced workforce. St Kilda West is a suburb of Melbourne which is located 5 kilometres in the south of central business district of Melbourne. The city of Port Phillip is the local government area of St Kilda West. There was a population of about 3132 as calculated by the census 2016. In the north-east direction, this suburb of Melbourne is bounded by Albert park and from the south-east, it is bounded by Canterbury road. In the south-west, it is scooped lane, west beach road and Beaconsfield parade that bounds St Kilda West. It is bounded by port Phillip bay in the west and Fraser street in the north and north-west. The postcode of St Kilda West is 3182.